this book was quite an easy book to read not to long as well. My favourite character was probably Colonel Custard because he gave Pip opportunities to get better. This book was fiction and i would recommend it to a kid around 9 years old. But overall this book was good and i enjoyed reading the story. 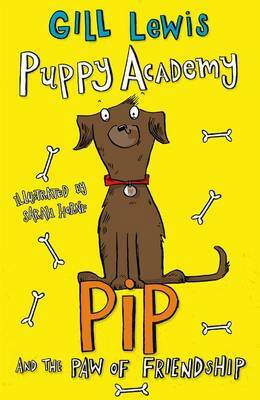 This book is a lovely book.Pip the puppy has always wanted to help humans.At the end of the story Pip's dream of becoming a guide dog comes true and gets to look after a little girl called Kayla.I am sure you will love this book! I LOVE it, it is the best book in the world!!!!!!!!!!! I think other children should read this book because it's all about friendship. Awesome! Great book about Pip and his life. Pip really wanted to be a helper to a young girl called Kylie. You should read this because he is a good dog and looks after Kylie. You should read this book it shows what can happen when you trust a friend And what the dog has to do to be a guide dog .the story is really good for people who like dogs .its good for children who have a age of 6 - 8 . Love the whole series. Met the author 2 years ago!